Eat 200 calories fewer than I burn daily. I ate 2,081, burned 2,300. Take at least 10,000 steps daily. Took 15,471. Get at least 6 hours of sleep nightly. Got 7:52. Yesterday was my last Friday off for the summer. Back to 5-day work weeks next week. 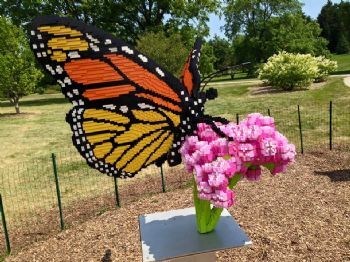 We made the most of the beautiful day by going to the Morton Arboretum to ride bikes and walk through the Lego Art in Nature exhibit. 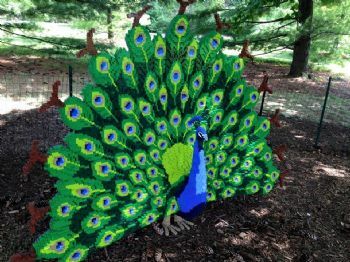 The photo of the peacock above is made from Legos. It took the artist Sean Kenney and his team 4,170 hours (173 days!) 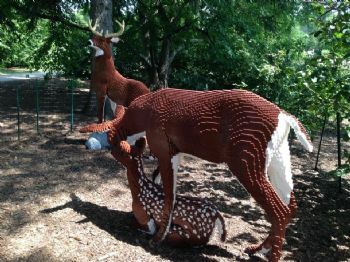 and 464,770 Lego bricks to complete the exhibit. What an amazing display. There's a Spark lesson here. 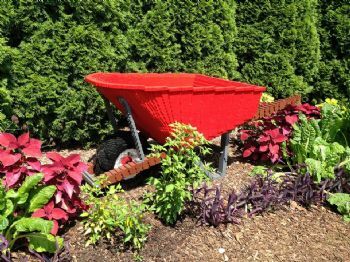 Imagine the time and labor of love that went into this exhibit by the artist - one Lego brick at a time. It's kind of like our Spark journey - one step at a time, one day at a time. Imagine how our health and bodies can be different 173 days from now if we just do one lifestyle change a day! 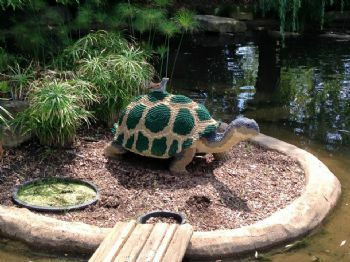 Here's a few more photos - everyone of them made from Lego bricks. 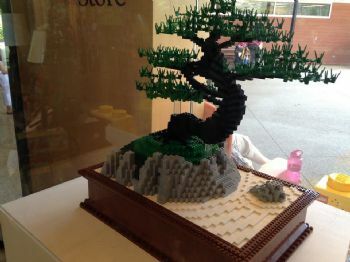 There were several more Lego exhibits, but my cell phone died before we got through them all! I hope you find some time to enjoy the beauty of nature this summer. Enjoy your weekend! Fun blog Nancy. Great day! 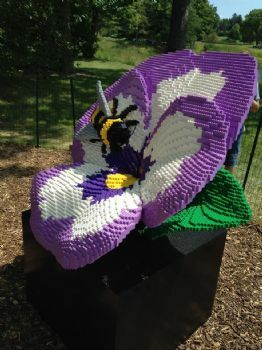 Thank you for sharing the lego art; amazing! 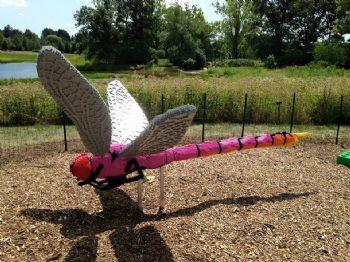 i am always amazed at what imagination coupled with lego can build. these pics are gorgeous. Wow! That looks like an awesome exhibit! Nice L ego photos, my 9 year old son enjoyed them as well!